Buying and Selling Kicks NYC: the go-to Facebook page for all sneakerheads, hypebeasts and other shoe enthusiasts around New York City. To start, a hypebeast is someone who buys and collects sneakers for the sole purpose of impressing others. But a hypebeasts’ much coveted items do not stop at sneakers, but also extend to Gucci belts, True Religion jeans and brand name t-shirts. On the other hand, Sneakerhead, a more common term, is defined as someone who buys, sells, collects and admires only sneakers. The basic procedure of buying a pair of sneakers starts with the obvious: finding the sneaker you want to buy. Young New Yorkers scroll through this Facebook page, amassed with photos of Yeezys, Nikes, New Balance and other brands, until they find a pair of shoes they like. You then post your bid on the pair in the comments of the picture. At that point, you wait for the seller to negotiate a meet up time and place, most commonly at the Queens Center Mall (QCM). Ultimately, it is a great way for all the shoe-lovers around NYC to trade sneakers easily. The simple but revolutionary system of buying and selling sneakers is not limited to NYC but is used by sneakerheads around the country. There are branches in Detroit, New Jersey, Long Island as well as any other areas with a dense population of people determined to easily buy and sell their shoes. However, the sneaker business does not stop at the simple sale of used shoes. There are more committed Sneakerheads who may camp outside of stores or anxiously stare at a website until the clock turns 12, and dashing madly to buy the hottest pair of sneakers. But these sneakers aren’t for them. 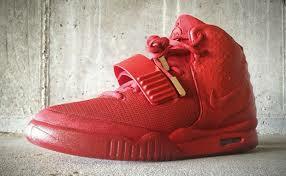 What often occurs is that these sneakers will become sold-out because of their popularity. So then, hypebeasts who are eager to wear the coolest clothes will pay extraordinary amounts for these shoes. Rahman shares this feeling with many young New Yorkers who also participate in the Sneaker trading game. He describes the process of selling shoes as, “basically you advertise a shoe or something that you want to sell. Then when you complete the post, people comment giving you offers.” Often times, sneaker sellers will comment “Bump” on their posts, which stands for “Bump Up My Post” and means exactly that. The more comments on a photo, the more intriguing it may seem to buyers. There are many BSGE students like Rahman who may appear as innocent students, oblivious to the Sneaker head and hypebeast world. But once the clock hits 2:10, they’re off to meet up in QCM. However these trades do not include only sneakers, but also vary to clothes, accessories and calculators. A BSGE student who prefers to remain anonymous admits to raking up around $3,000 within a year for simply selling Ti-83 or Ti-84 calculators throughout New York City. The sneaker business may be foreign to many, but for those of you who were ignorant- now you know. Next time you’re at Queens Center Mall, open up your eyes and you will start to notice teenagers standing near the food court or at the corner by the escalator, shoebox in one hand and cellphone. Try not to bother them, for they’re more than sneakerheads. They are business professionals. Next Post 10 Points for Gender Equality!